Nearly half a million children in the Horn of Africa are at risk of dying from malnutrition and disease. (CNN) -- Twelve million people are facing a hunger crisis in the Horn of Africa, and they are in desperate need of help. The United Nations declared a famine in parts of southern Somalia, calling for a widespread international response to end the suffering. 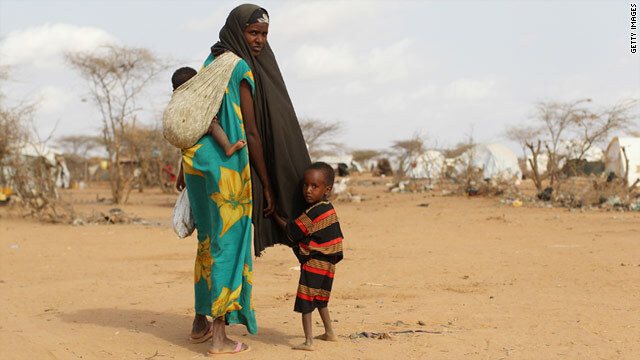 Thousands of Somalis have been fleeing the country each week in search of food, water and shelter -- many of them walking for days in the sweltering sun toward refugee camps in Kenya and Ethiopia. Nearly half a million children are at risk of dying from malnutrition and disease.